CÃ¹l MÃ²r is a shapely, twin summited mountain in the far north west of Scotland whose higher summit is the highest point of Inverpolly. It is almost completely separated from its southern neighbour, CÃ¹l Beag. 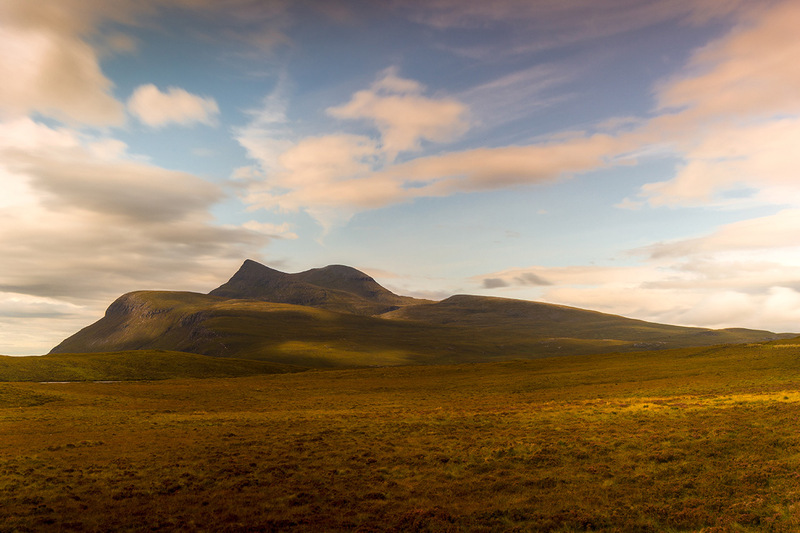 Despite its higher altitude, it is less well known than two of its other neighbours, Suilven and Stac Pollaidh, but being higher, it commands spectacular views over these and many other neighbours.